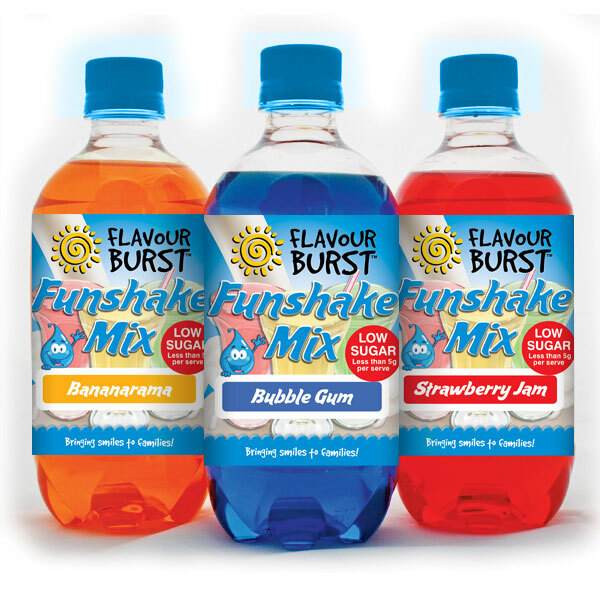 Exciting new flavours children will love, like Bubble Gum and Bananarama. 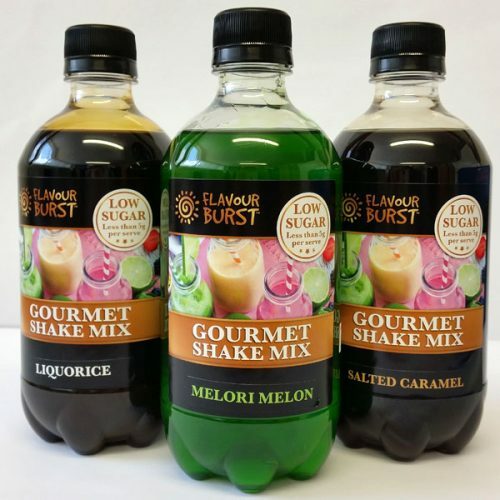 Low Sugar – less than 5g per serve! Water, Natural Cane Sugar, Glycerine, Flavour, Vegetable Gum (412), Preservative (202 & 211), Colour (may include 122/133/102/110), Sweetener 950. 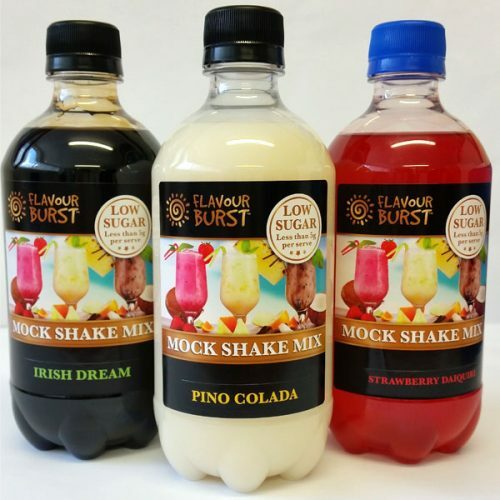 Add 50ml of flavour to 200ml milk and shake or blend for a delicious milkshake. Also great over ice cream, pancakes, cereal, yoghurt and fruit.